RATE: $139.00 + taxes and daily resort fee per night. Call and mention USD Digital Initiatives Symposium 2019 for this rate. Reservations must be made by March 29, 2019. Inquire about $4.00 per person round trip shuttle service to USD. Call the Reservations Department between 8:00 am - 5:00 pm and mention the USD Digital Initiatives Symposium to receive the special rate. Rate is valid until April 29, 2019. (All rates are subject to the prevailing city and state taxes and assessments. Currently, taxes total 12.695% and are subject to change. Hotel check-in time is after 4:00PM on the day of arrival. Checkout time is before 12:00PM on the day of departure. Rate includes Complimentary Breakfast vouchers for up to 2ppl. per room; served daily. Overnight parking is $5.00. RATE: $147.00 + tax for single or double occupancy. 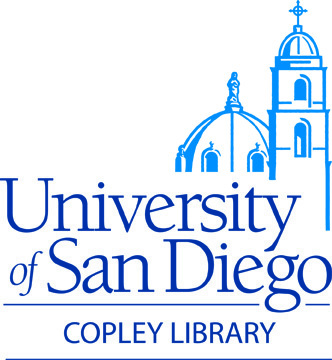 Call and mention USD Digital Initiatives Symposium to receive the Symposium rate. Reservations are due by March 28, 2019. (Rate does not include the 10.5% San Diego Transit Occupancy tax and the 2% San Diego Tourism Marketing District Assessment fee. The Best Western Plus Hacienda Hotel will add an $8.00 Facility Fee per night to our daily room rate. (Taxes and surcharges are subject to change). Rate includes full EI Presidente Benefits, which are Breakfast, Dinner, and one drink daily (for one person per room). There will be a $25.00 per person charge for an additional person in a room that requires El Presidente Benefits. Overnight parking is $19.00 per car per night. The Symposium will be held at the Kroc Institute for Peace and Justice located just southwest of Copley Library. Daily rates for parking in the USD West Parking Structure are $8.00. Trams travel regularly from the Parking Structure to KIPJ and Copley Library. Parking passes can be purchased in parking structure kiosks or via the Whoosh! App. For additional parking information please visit Parking Services. Those using public transportation, or staying at the Best Western Plus La Hacienda Hotel Old Town, can ride the USD tram from the Old Town Transit Center for free. These trams run roughly every half hour from 6:45 to 9:45 AM and from 3 PM to 7:30 PM. For more tram information and maps, please visit USD Tram Services. The menu will include vegetarian and gluten free items. Pre-conference/Workshop registration (Monday, April 29) includes Wine and Cheese welcome reception on Monday. Full-day conference registration (Tuesday, April 30) includes Wine and Cheese welcome reception on Monday as well as breakfast and lunch on Tuesday. List of recommended nearby restaurants. Comments, questions, and requests for more information should be directed to Amanda Makula at .